When you talk to your friends, co-workers and family about fitness, what is your number one barrier to exercise? For many women, their greatest barrier to participation in fitness is TIME. As Mothers, we tend to give so much of ourselves to our children, our spouse, our family and friends that we have so little time left over for ourselves. When we do get time to ourselves, we are usually exhausted and not motivated enough to give a workout 100% (not to mention most times we don’t have anyone to watch our children or they have their own extra curricular activities). BUT exercise is crucial for our mental, physical and emotional well-being. Exercise not only helps improve our physical fitness but helps with sleep, metabolism, stress and so much more. The benefits of exercise are too important for us not to be putting ourselves first. So how we squeeze in an extra fifteen to thirty minutes a day of exercise? 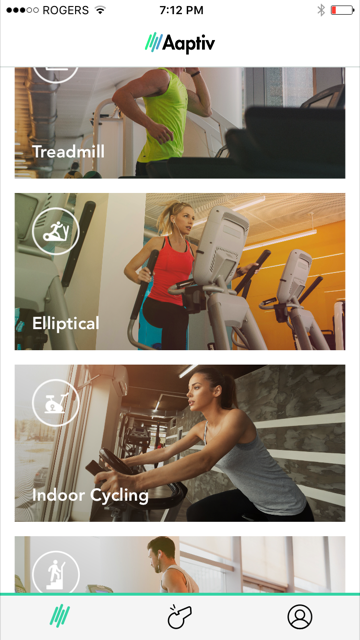 Aaptiv is a mobile app for your phone that contains a broad range of traditional workouts with more focused workouts such as cardio for weight loss, maternity program and yoga for beginners. 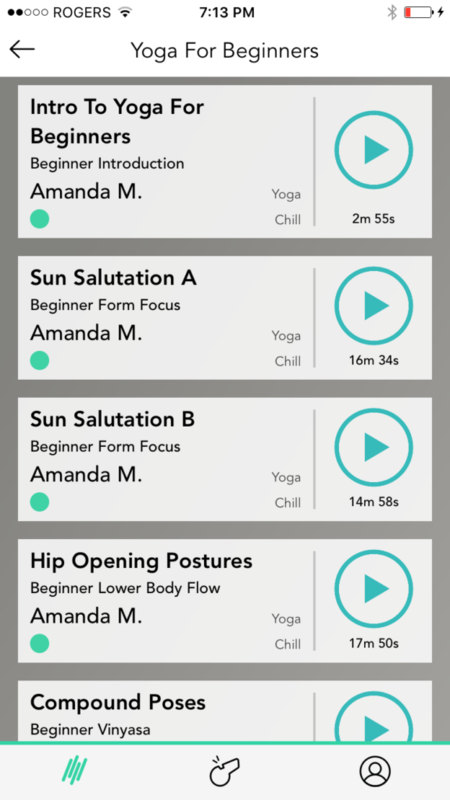 The app is designed to be just like a personal trainer without the expense. You have your own coach at the tips of your fingers and in your ear for the whole workout – this is that extra motivation that we sometimes need. Once you download the app, you can go through and choose a specific workout or program that suits your needs on that day. Plug your headphones into your phone and get ready for extra motivation to help get you through that workout that you have been avoiding. The workouts vary in their time range so you can choose the correct time needed for your workout (on the right hand side of each workout it tells you exactly how long that one will take). I loved that each program has a beginner, intermediate and advanced setting. The workouts were very easy to follow and motivating. I also enjoyed listening to the meditation programs during the afternoon to help me de-stress and re-focus my mind (beats trying to accomplish this with caffeine that usually makes my stress worse). For Moms to Be and New Moms, Aaptiv has a special program just for you! 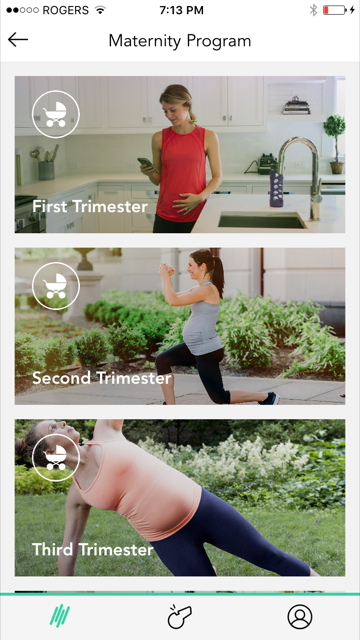 Top fitness talent, including Kira Kohrherr of FitBump and yoga guru and author Kristin McGee, have helped to designed a specialized pre and post natal program. The program is divided up into the three trimesters and post natal. Since this is usually a time where we don’t give ourselves and our bodies enough love and attention – this is a great way to help us keep on track with our fitness and health goals. Aaptiv can be started on a free weekly trial and then membership for unlimited classes starts as low as $9.99. Make sure you follow Aaptiv on Facebook, Twitter and Instagram to keep up to date with all the latest programming and fitness updates! How do you ensure you include at least fifteen minutes of exercise a day into your daily routine? Disclosure: I received a trial of Aaptiv in order to facilitate this review. All opinions expressed are my own. This entry was posted in review, technology.